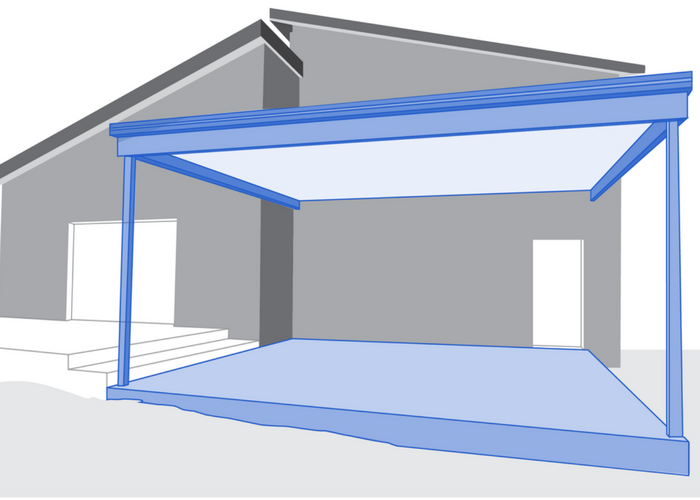 Find out which permits you need to build a verandah. is partially or fully open-sided. You always need a Building Permit to build a verandah on your property. You may also need a Planning Permit. To help you work out which permits you need, begin at Step 1 and answer the questions one at a time. You may be asked to look at zone information and measure the size of your lot. Check whether your project involves removing, pruning or carrying out works near a protected tree. You may need a permit for the tree works. Check for easements on your property. When an easement is obstructed, it can prevent important maintenance work and block the flow of stormwater. If your plans impact an easement, it may be necessary to modify the plans. See if the property is listed under Schedule to Clause 51.01 Specific Sites and Exclusions. If the property is listed, contact Statutory Planning on 9278 4888 to find out about special restrictions and exemptions that apply. Check whether any restrictive covenants impact your property, as they may stipulate the material out of which you may construct the verandah. If you need help with Planning Permits, contact our Statutory Planning team on 9278 4888 or email Statutory Planning. If you need help with Building Permits, contact our Building Services team on 9278 4999 or email Building Services.